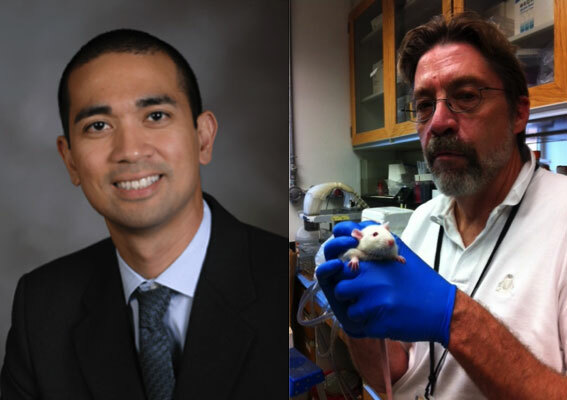 A drug discovery team headed by Webster Santos, Associate professor of Chemistry and member of the Virginia Tech Center for Drug Discovery, and Kevin Lynch, Professor of Pharmacology at the University of Virginia, School of Medicine, is developing inhibitors of sphingosine kinase (SphK). SphK is an enzyme that produces sphingosine-1-phosphate, a lipid signaling molecule implicated in a variety of diseases such as cancer, sickle cell disease, Alzheimer’s disease, and kidney fibrosis. The medicinal chemistry group at Virginia Tech generates novel compounds that are tested in vitro and in vivo by the pharmacology group at UVA. The long-term collaboration between the two institutions has generated some of the most potent inhibitors to date. The team recently received an RO1 grant from the National Institutes of Health to improve the drug-like properties of the inhibitors and to develop alternatives to control the trafficking of sphingosine-1-phosphate.